The longer it takes to file a claim, the more likely accident details could be forgotten or omitted. 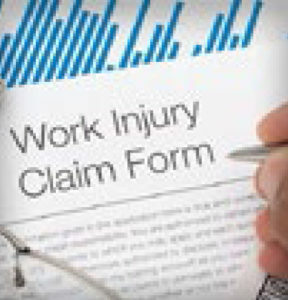 When an employee is injured, prompt reporting can play a vital role in helping to keep the cost of the claim down. State law requires that a First Notice of Loss (FNOL) – also known as the Employer’s Report of Industrial Injury – be filed with the Industrial Commission of Arizona (ICA) within 10 days of the injury. The longer it takes to file, the more likely accident details could be forgotten or omitted and witnesses may not recall what they saw as well. CopperPoint prefers the FNOL form to be completed and filed within 24 hours if possible, and it is why its website, www.copperpoint.com, has a “Report a Claim Online” function. To apply for workers’ compensation benefits, the employee needs to complete the “Worker’s and Physician’s Report of Injury” form, which can be obtained from the attending medical provider during the initial appointment. The provider files this form with the Industrial Commission of Arizona, the insurance carrier and the employer. An employer may direct an injured worker to a specific medical provider for the initial visit. CopperPoint recommends a provider from its Preferred Connection Network (PCN). To find one of the more than 4,000 providers in this network, go to the online directory, www.copperpoint.com/web/guest/find-a-medical-provider. All reasonable and necessary costs for medical care relating to the workplace injury will be paid with no out-of-pocket costs to the injured employee. Temporary compensation for lost wages is payable with a working disability from attending medical provider based on 66-2/3% of the average monthly wage – up to the statutory limit. This limit may be adjusted annually. Once legally established, the average monthly wage on a claim will not change. Compensation begins once the temporary disability attributable to the injury goes beyond seven consecutive days.